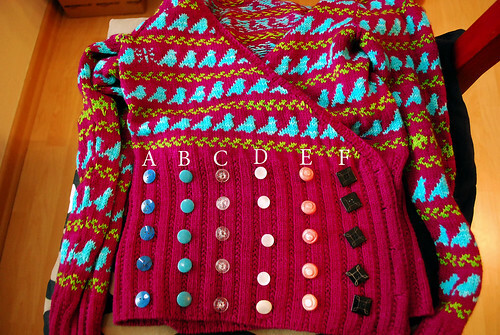 May 4, 2010 Adri H.
Help me figure out which buttons to use. These are all from my vintage button collection (aka my button jar) which means some of them are limited in number... but that's okay. Let me know what you think! Which looks best on my funky Little Birds?